PESHAWAR: National Assembly (NA) Speaker Asad Qaisar has said that a special committee would be constituted to resolve the issues of erstwhile Federally Administered Tribal Areas (FATA) and to address the concerns of tribal people. He was addressing a grand convention of Insaf Students Federation (ISF) in Peshawar University Campus on Saturday. He further said that Prime Minister (PM) Imran Khan was personally taking interest in newly merged districts, adding the area would soon be on the course of development. 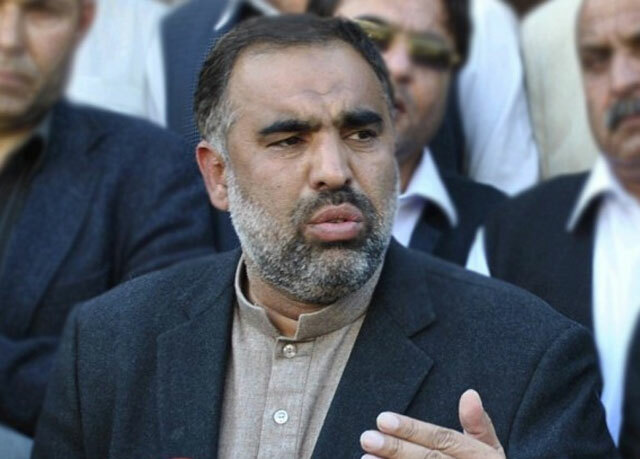 Asad Qaisar said that establishment of hospitals, educational institutions, strengthening of institutions and creating the opportunity of jobs in tribal districts were among the topmost priority of the incumbent government. He said the nation would not forget the sacrifices of tribal people for the country during the war on terror and it would be written in golden words. He said that the new era of development and prosperity would be started in erstwhile FATA. He said the economy that was affected by terrorism would be augmented after completion of China-Pakistan Economic Corridor (CPEC) and that two million youth would get jobs in the Rashaki Economic Zone. The Speaker also said that peace in Pakistan and Afghanistan was interlinked with one another and that Pakistan wants trade relations with Afghanistan to bring an economic change in the region. He urged the youth to work hard and play their role in the development and prosperity of the country.